It is an amazing thing to truly know that God loves us; to feel His love engulf us. I wish I could live inside of that feeling all of the time, but we live in a broken world and I am a broken vessel. That means that there are often times that I feel broken and alone. It is a difficult, lonely place to be. And yet we are called to reach out and love others with the love of God. I struggle with being able to do that. How can I help the broken around me when I feel broken myself? This, I believe, is why God tells us that we should make every effort to join a body of believers. 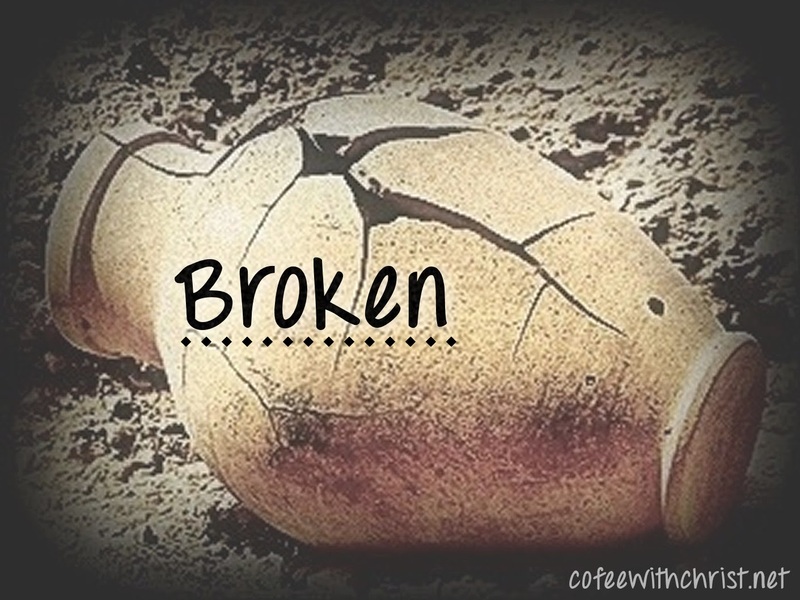 (Hebrews 10:25) When we are broken it is so easy to withdraw and allow ourselves to become focused on our own brokenness to the point that it consumes us. When you isolate yourself, you begin to lose sight of the joy in the world, of the reality that you are not alone in your brokenness, that you may not even be as broken as you think you are. The devil loves to take a small insecurity and blow it up into a big thing in your mind. When we are around our brothers and sisters in Christ they can remind us of the truth: we are all broken (Romans 3:23), but God is very near to us (Psalm 34:18), and He will heal our brokenness (Psalm 147:3). I believe that when we join with other believers we can find encouragement and they can help us to refocus; to turn from deceptive thinking to the truth of God's love. But it is also our role as a follower of Christ to step outside of the church and to share Him with the world. (Matthew 28:19-20) Not an easy task when we feel just as broken as the world. Fortunately, we have something the world doesn't - Christ in us. (Colossians 1:27) That means that even in our brokenness we can call on His strength, His protection, we can lean on Him. (Psalm 18:2) In our brokenness we need only remember how He sees us, and then it becomes so much easier to reach out to those around us so that they too can see themselves as Jesus sees them. You see, our brokenness gives God an opportunity to shine in the world, then the world doesn't see us.....they will see God in us. So how can we help the broken? By first recognizing who we are in Christ. And how do we recognize who we are in Him? We turn to His word, we join His body, and we realize that His truth applies to us. He isn't just a God of the world, He is a personal God. We recognize that the Bible was recorded for us to read and internalize in this time, at this moment, in a personal way. And once we realize that, we share it and watch His love spread.